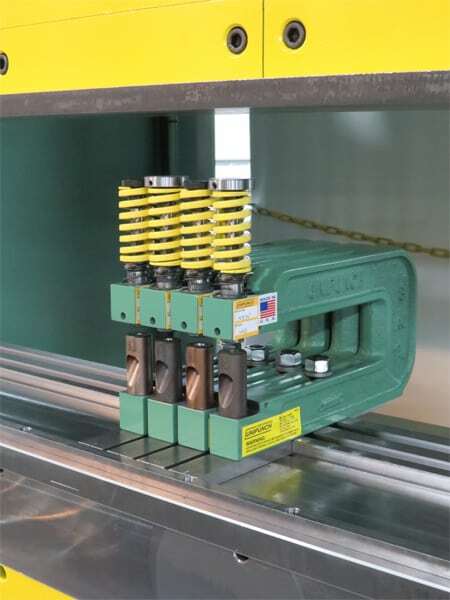 Are your punching capabilities limited by the tonnage of your press or press brake? 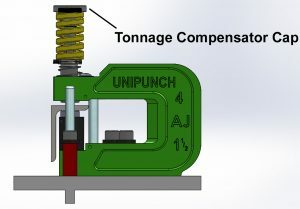 UniPunch has a solution. 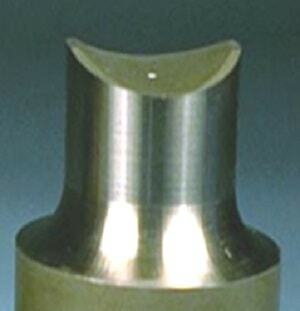 Compensator caps stagger the punch length so that the punches pierce the material at different intervals, reducing the required punching tonnage. 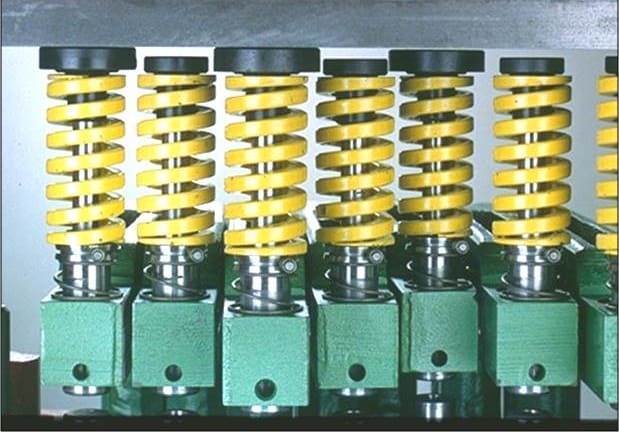 They are fastened to the punch heads of “A” and “AJ” series units to reduce the total punching load required for multiple holes. Need help determining tonnage? 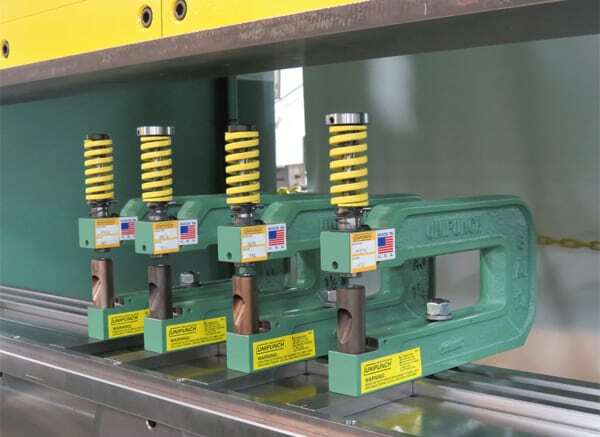 Our press brake tonnage calculator can help you determine if caps are needed or additional tonnage is required. For more information on tonnage, click here. 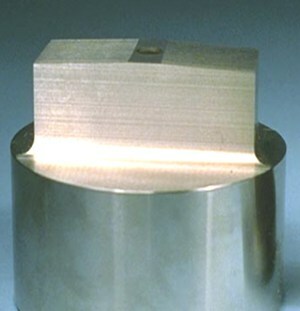 Chisel shear on punches can considerably reduce required press tonnage. 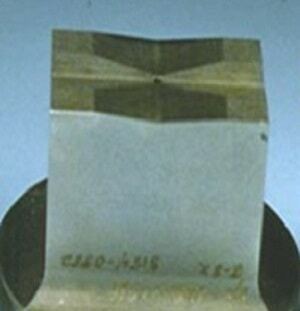 UniPunch offers Chisel Shear, 4-Way Shear and Concave Shear.